The poppy installation at the Tower of London seems to have moved all who have seen it, capturing the immensity of the human cost of needless war. Certainly it triggered debate, which is always a positive thing. The irony is that in the week this installation by ceramicist Paul Cummins captured the public imagination, so a campaign was launched to save yet another ceramic course threatened with closure – this time in Falmouth. Throughout the UK ceramics courses have been steadily axed over recent years. Apparently there is no longer any value in learning how to craft beauty and meaning, insight and inspiration from clay. However, the hundreds of thousands of people who have visited the Tower of London in recent weeks may have a slightly different idea. Paul Cummins learned his craft at the University of Derby, where ceramics is still taught. If we value learning through making, if we value the unique objects and art works that only a mastery of ceramics gives us, if we value the imagination and power evident in the Blood-Swept Lands and Seas of Red installation at the Tower of London, and the sense of wonder experienced by all those who have seen this remarkable artwork, then surely we must defend the teaching of ceramic art and design. Ceramics runs deep with us. It runs in our veins. Some of the earliest human made objects are ceramic, such as the 30,000 year old Venus figurine discovered in Moravia. The invention of the potter’s wheel in what is now Iraq around 6,000 years ago revolutionised the production of vessels and led directly to the establishment of cities. Then there is Josiah Wedgwood: a potter who invented the factory system, industrial design, the principles of modern marketing and laid the ground for the industrial revolution. Oh yes, he also helped abolish slavery and provided the money for Charles Darwin’s voyage on the Beagle. Artistic expression, the birth of cities, innovation, revolutionary change, social responsibility and evolutionary theory. Pottery. What’s not to like? The craft of ceramics may play a vital role in our history, and can be used to remind us powerfully of recent historical events. But it is not consigned to history. Ceramic design is very much a practice of today – and it is vital for our future. At Falmouth, where the ceramics course is under threat, ceramic design researchers have been leading the internationally recognised Autonomatic Research Group, fusing craft and digital practices in highly relevant and innovative projects in partnership with programmers, cultural geographers, bio-scientists, journalists, social scientists, technology developers, museum curators, and artists. And of course they are doing this in Cornwall, a region where there is huge value in exploring new applications for making and craft. Yes, it is tragic that those who are responsible for design education appear to have no idea of the educational, cultural and economic value of a learning that is based on making. 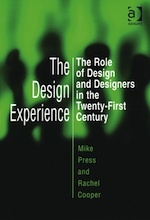 But in most cases those responsible do not actually work in design education. It is part of their “wider brief” as senior managers in higher education who are given an art school alongside a clutch of other related (and usually less related) disciplines. In my experience, these “here today, gone tomorrow” managers have much in common with cabinet ministers who have responsibility for education: they have no passion, no interest and above all, no knowledge of their brief. But – and this is the real tragedy – they are making decisions that future generations will have to live with. This week the UK Education Secretary Nicky Morgan spoke out unambiguously about the value of the arts and humanities: “If you wanted to do something different, or even if you didn’t know what you wanted to do…then the arts and humanities were what you chose. Because they were useful – we were told ­– for all kinds of jobs. Of course now we know that couldn’t be further from the truth, that the subjects that keep young people’s options open and unlock doors to all sorts of careers are the STEM subjects.” In choosing the arts, she asserted, pupils are making choices that “will hold them back for the rest of their lives”. There is a poverty of knowledge and imagination behind these comments that is hugely dispiriting. It is dispiriting because there is naturally the assumption that learning based on the arts – and making in particular – is somehow a bit dumb, and thus is something pursued by thick people. I don’t agree with this. Craft is the one true alchemy. It is through craft – through learning based on making – that quality is found in the crudest of materials. From mud is created ceramic, from sand is created glassware, from ores comes metalwork and jewellery and from a sheep’s back comes woven textiles. It is through craft that pigments from the earth were discovered to have qualities of colour which could be applied as paint – to paint the sky. Craft is the process which takes the earth and paints the sky with it. Learning through making fuses science and art, technology and culture. It defines our humanity and our values, it provides future visions and possibilities. It captures imagination. It must not be lost. We had 48 hours to change the world. Seventy people in Dundee divided into seven project teams, working to a design brief set by the Global Service Jam. And from Kampala to Kathmandu, Beirut to Bogota, Los Angeles to Loughborough, Stockholm to Sydney, there were 2952 people in 122 cities jamming through the weekend to produce 500 projects. It was a remarkable experience that engaged and excited everyone involved. The Dundee Jam was the 8th best attended in the world, with only two attendees fewer than the UK’s largest jam in London. 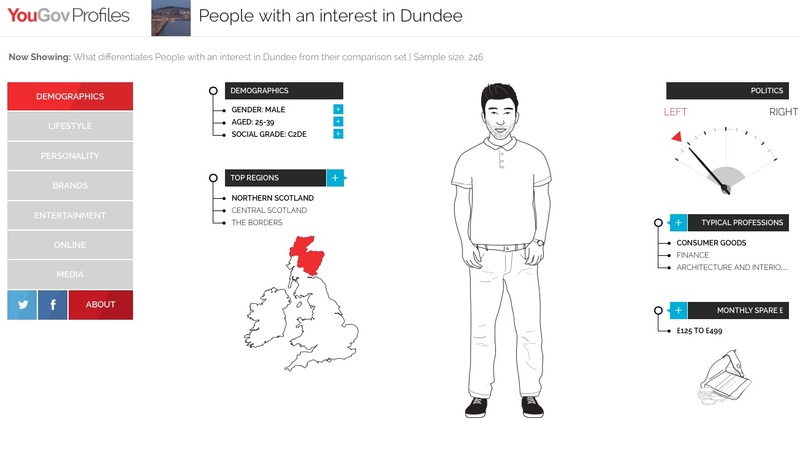 This was a significant achievement, indicating the interest and passion in service design that has been developed in Dundee. It is also a consequence of having a highly committed and effective organising team. I’m not sure we changed the world, but we changed something about ourselves, and that is what I will try to explore in this reflection on the Global Service Jam Dundee. The value of the Jam lies not in the outcomes, interesting and inventive though they are, but much more about the experience created and how it challenges and changes our preferred ways of working. And I say this as one of the organisers rather than a participant, but even in that capacity it changed me. Adam St John Lawrence makes the point that “It’s about learning by doing – and this does not only mean learning skills. I might learn more about how I work, who I work best with, who I might be friends with.” And it is. A jam is an intense learning activity. What you learn from it depends on how open and flexible you are prepared to be, and how far beyond your comfort zone you are prepared to step. Some jams appeared to shoehorn in keynote speakers, reading lists and expose participants to a range of design tools and methods. We chose not to do this. The five talks we had at various points were each around 10 minutes long, and the methods and tools were very loosely defined. So the emphasis is on inspiration and encouragement, and participants learning from each other. We are all learners and teachers, and what we have to offer each other is equally valued. Despite doing this within a University, we succeeded largely to reject hierarchy and encourage team working that embraced diverse experience. We had highly experienced public sector professionals working alongside undergraduate design students – and learning from each other. We had marketing executives sharing ideas equally with sociology postgraduates. That ethos was also in the organising group, and is essential for the process to work. Indeed it was personally liberating and refreshing to work in equal partnership with my own students. I rather think that this is how Design Schools were meant to be. Partnership underpins the whole idea. While Duncan of Jordanstone College of Art and Design, University of Dundee supported the venture by providing facilities and technical support, they fully agreed for the Jam to have its own autonomous identity. 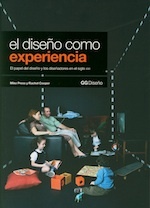 The Master of Design for Services course supported us with materials and expertise. We were also hugely fortunate in having Taylor Haig as our main sponsor. Their financial support was crucial for success, but the company’s senior partners also attended the Jam, became honorary Jam Doctors, and helped sustain energy and enthusiasm throughout. Partnership and commitment infused all aspects of the jam. This is the Jam Mantra. Mind you, from the noise generated you wouldn’t really have known. But having spent considerable time in a past life trying to change the world politically through the time-worn method of sitting around tables or in meeting halls talking and getting nowhere, this was a highly productive contrast. Being practice-centred brings to the process all the advantages of practice-centredness generally, as in research. It also enabled teams to play with ideas, propositions and approaches in a flexible, responsive way. 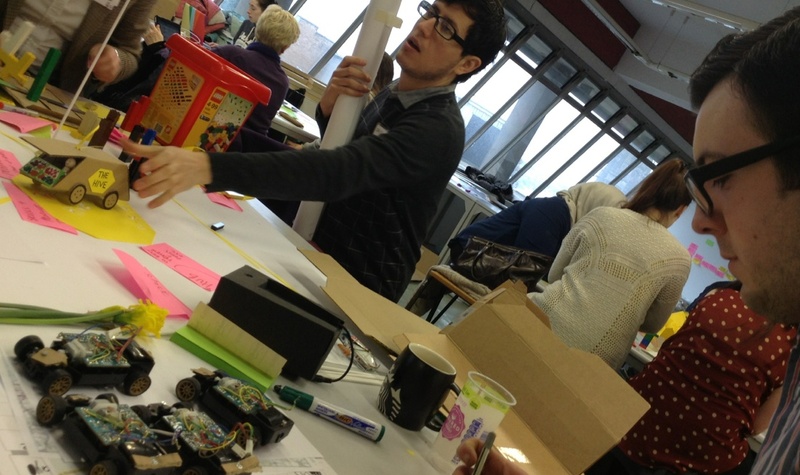 The physical crafting of problems and strategies, and in particular its use as a storytelling device to engage the public and the jam community, demonstrates a further characteristic of the jam…. Farrah Berrou was the blogger for the Beirut Service Jam. In her blog she wrote “Highlight of the Event: Skype call with fellow Jammers in Dundee, Scotland”. To be honest, it was our highlight too (although I really regret not actually talking to them myself). During the course of the Jam we skyped with Los Angeles, New York, Stockholm, Mumbai, Auburn Alabama and Melbourne. To begin with we did this from a large TV in the studio. This was fine and helped largely to enable some good conversations between organisers, but it set limits on engaging our participants. So the ever resourceful Ross Crawford (holding the laptop in the photo on the left above) became our SkypeMeister, carrying a laptop around the studio to introduce jammers across the world to each other. Above on the right we see Ross on the laptop in Beirut. This transformed the sense of internationalism in the jam. In future we should probably build on this further. All of our international Skype buddies brought a great sense of global connectedness to the occasion, but when we hooked up with Beirut, it was particularly magic. Stuff gets noticed. Stuff gets seen and engaged with, and so this helped the key objective of getting close to users by exploring ideas with them. Some teams rose to the challenge of connecting with people most effectively. 48 hours to change the world is a great opportunity. If you can take it. For single parents, seniors, people who have no choice but to work at times at the weekend, it is an opportunity denied to them. So, what do we do about that? At the start of the jam we made the point to participants that creativity and inventiveness is a direct product of diversity – the more diverse the community, the more perspectives and cultures they bring, the more experiences they can draw on, the more creative and relevant the ideas they will generate. We brought together 56 people, some from very different backgrounds working in very different areas. But most were in their 20s, worked in creative disciplines and had the benefits of University education. Providing mini jams within the two days, or spin off satellite jams or other initiatives to broaden participation most be a priority next time. In short, it was a wonderful liberating and creative experience. I posted about this before, but the video of the evening had yet to be available. 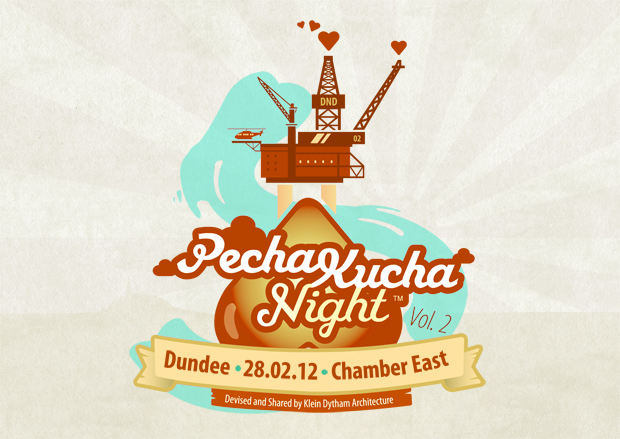 I was one of the PKN presenters at Dundee’s second Pecha Kucha Night on 28th February 2012, hosted by Creative Dundee. The theme of my talk is education. I was fortunate to be invited to give a talk at the Dundee Pecha Kucha Night vol 2 held on 28 February. My talk was on the theme of public education, and I have made a version of the talk available below. It is a prerecorded rather than ‘live’ version. If you are unfamiliar with the format, each speaker has 20 images projected, each of which stays on the screen for 20 seconds – so you have 6 minutes and 40 seconds to make your point! Creative Dundee are to be congratulated for organising these excellent events that attract a full audience. Live videos of all talks will be available soon from the link above. The Design & Democracy exhibition continues to run at the Scottish Parliament – a unique show that displays how the design students of Scotland are using their skills and knowledge to address a range of social issues. Full details of the exhibition can be found on the Parliament website, including video profiles of the exhibitors. At the exhibition’s opening I said a few words on behalf of the four Scottish Design Schools whose students are represented. An abridged version of this follows below. This is an exhibition that tells a story – the story of how design can contribute positively to our civic society on all sorts of levels: to strengthen democracy by doing what it does best – visualising alternative ways of doing things, highlighting problems we need to address, and giving a voice to those who are seldom heard. And behind the exhibition is another story: one of Scotland’s big success stories – the vibrancy and relevance of our world class design education. Every summer the doors open on our art school degree shows. In Aberdeen, Dundee, Edinburgh and Glasgow, the achievements of our graduating students in art and design are celebrated in four sparkling and inspiring exhibitions of creative excellence. The idea developed to showcase some of the very best of our design graduate work here in the Parliament, in an exhibition themed around design and democracy. A broad theme, but one which enabled us to explore how students in design were looking at community engagement, social change, inclusion, sustainability – and other key issues that are essential to a healthy and thriving civic society. At its best, design has always been about progressive social change – using the power of design to imagine new futures, new solutions and new ideas. At its best design is about empathy, about understanding people, about empowering people. And as we went from one art school to another this summer – we saw so many examples of visionary design thinking at its very best. My colleagues Robert Gillan from Edinburgh College of Art, Libby Curtis from Gray’s School of Art, Jenny Brownrigg from The Glasgow School of Art, Fiona McDougall from the Scottish Parliament and myself toured the four shows during this May and June. It was a fantastic, and perhaps too rare opportunity for the art schools to work together in this way. We saw different strengths and approaches, different issues being explored, different opportunities seized. By the time we got to the end of our journey – at the Glasgow show – we were literally overwhelmed by what we had seen. And it’s not just about the quality of work – brilliant though that is. It’s about how our art schools are regenerating themselves to address the new issues and challenges of our age. Art Schools are one of those great Victorian inventions – creative hothouses to drive innovation and to bridge art and industry. And, a great British invention. The art schools not only helped to create competitive well designed products, but they also produced our culture – both ‘high’ and popular: the Apple iPod, The Beatles, Habitat, Punk and the Dyson vacuum cleaner all have their creative roots in the British art school. In Scotland, our art schools are typified by a continuing commitment to craft values – whether in fashion and textiles or in interaction design. Culturally informed intelligent making underpins our educational approach and defines our distinctiveness. And that is what we see in this exhibition – but now married much more explicitly to the social concerns and sensibilities of those who study design in Scotland, and of those who teach them. We live in troubling and uncertain times. We look, too often in vain, for a vision of how things could be better and different. Design – as this exhibition demonstrates so powerfully – has the potential to provide visions for the future, and tools to make change happen. And a new generation of designers is showing – and indeed demanding – that design has a vital role to play in the future of our democracy.